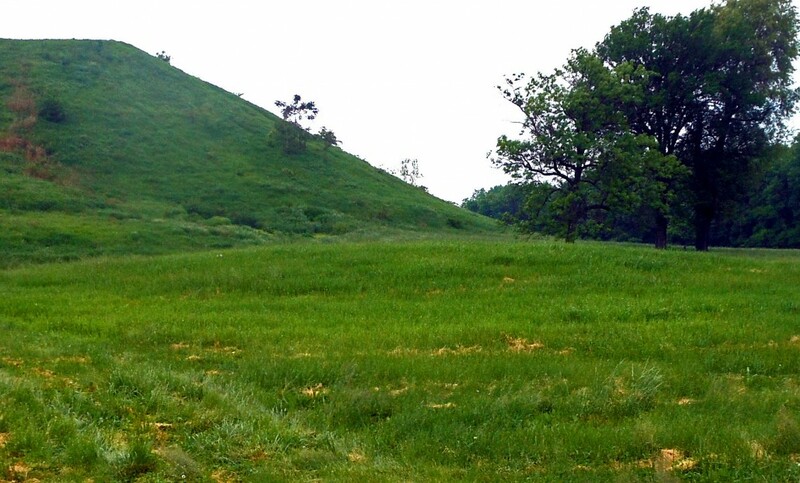 Shown as a small, conical mound adjoining the northwest corner of Mound 36, Mound 37 appears not only on the Patrick Map but on all later maps of the site. It has been seriously deflated by plowing and constant use so that its height today is barely discernible on the UWM Map contours and on recent aerial photographs. However, in earlier times, it apparently had a much greater height, as the McAdams Map of 1882 and the Thomas Map of 1894 both give 10 feet (3.05 meters) as its height. In 1906 the Peterson-McAdams Map records a figure of 6 feet (1.8 meters). In any case, the height is always shown to be less than Mound 36. This contrasts with the other paired mounds, such as Mound 32 and 33, where the conical mound was taller than the associated platform mound. No excavations have been reported in either Mound 36 or 37.